Even though this is true and you should definitely work on enlarging your subscriber base, there is the question of what to do next. Download our “32 Landing Page Design Tips To Drive Business Growth” eBook to Find Out The Design Principles That Make A Converting Landing Page. How do you get money in the bank when all you have is a bunch of email addresses stacked in one giant bag? Drip email marketing gives you the ability to fuse your landing pages together with page-turning content and sequences of emails to automatically generate new subs, nurture leads and, eventually, turn them into paying customers – the ultimate goal of any digital marketing campaign. Emails actually also link together funnels and you can start creating your own by downloading our free Essential Guide to Funnel Building. In this post, we’ll cover what drip marketing is and how it works, we’ll also take a look at several simple and advance drip campaigns with examples, and, finally, show you what steps to take when setting up your very own drip email campaign. After reading the post, you will never again return to the marketing ways of the past because you’ll start seeing conversion boosts, lower customer acquisition costs and, most importantly, increased profits. Join our FREE workshop on Building $1MM Funnels to take your email marketing campaigns even further. Does it sound too good to be true? Regardless of how it sounds, your business can achieve a lot with a heavy-duty email tool such as drip marketing. If we break the term “drip marketing” down to its core, it is the processes of automating your company’s marketing efforts to maximize output and minimize input. Drip and sequence emails are the same thing, but we tend to stick to the more popping name because it reflects and visualizes the process. 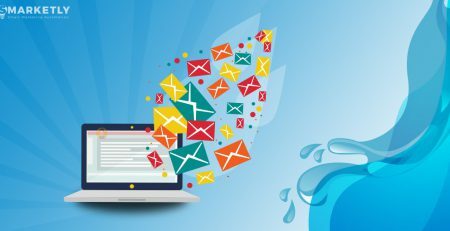 Email sequence campaigns don’t go out in one go, but arrive in small bits over time, just like raindrops nurture seeds by watering them. Drip marketing gives you the opportunity to automate the process of capturing new leads, nurturing them with relevant content by taking them through trigger-based sales funnels, and, ultimately, selling your offer to them. Download our FREE guide on the lead generation to learn 120 ways of how to bring in more leads. Forrester Research shows that you can decrease the customer acquisition costs by about a third thanks to drip marketing. Furthermore, subscribers that go through a drip marketing funnel are likely to spend almost 50% more than those who aren’t carefully nurtured. Did you know that you can get almost $40 back for every dollar spent on an email in a drip series? Luckily, a drip marketing strategy is largely made up of emails. However, it does include other elements that can yield great results together, like landing pages, ads, webinars, blog posts, text messages, direct mail, and even phone calls. 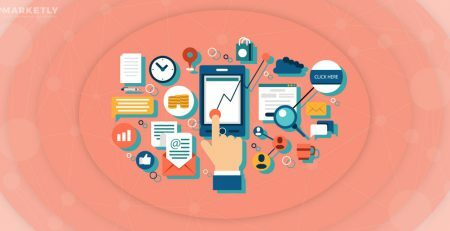 Certain events or actions usually trigger drip campaigns, like user behavior (click, purchase) or after a certain period of time passes (daily, weekly, monthly). What makes drip campaigns most exciting is the fact that, if tuned properly, they make one-on-one sales history. After all, specialized software can completely automate your sales cycle for years ahead. An interesting fact is that companies that started using the drip marketing strategy when approaching their subscribers saw a whopping 451% jump in qualified leads. This means that you can stop wasting time nurturing leads that are not yet qualified for a sale and focus on the ones who are. In order to have a successful drip campaign, you must segment and personalize your subscriber lists, so that they only get the content they need at this stage of the sales funnel. Otherwise, you risk overflowing their inboxes and getting lost among other unopened emails. We have previously talked about segmentation and personalization and how they help you send the right message to the right user at the right time, so check it out to catch up. Depending on the number of people your company addresses, your drip campaign can get very intricate. However, if you are a small business and are just settling in, you can start by implementing a simple drip autoresponder, like the one below. Simple autoresponders are dead simple and you can set them up in a flash. Once you get your hands on a person’s email via an opt-in form, you can send them content after a certain period of time passes. However, you cannot send different emails to different people via simple autoresponders. This is when advanced drip campaigns come into play. More advanced methods give you the possibility to send tailored behavior-based emails to separate groups and individuals. This sequence is made up of five emails that were sent over a period of almost two weeks. Each email has a purpose of increasing the engagement of a subscriber and moving him or her forward in the decision-making process. The very first email gives new subscribers a warm welcome and provides them with the basic info they need or expect to receive at this point. The second one builds trust and rapport with subscribers. The third email solidifies the company’s position as an expert on the matter at hand. The fourth one follows up on previous emails and includes a link to set up a call and convert the prospect into a lead. The last email reminds subscribers that they’ve already gotten in touch with your company and should consider your option. After this simple email sequence, subscribers go on a list to receive the company’s newsletter on a monthly basis. Remember to take things slow and not jump ahead with trigger-based actions and various segmentation options. Small companies don’t need to use complex systems because they can and will come back to bite you. According to the law of diminishing returns, minor improvements only lead to big returns to a certain degree, but you will decrease your ROI if you implement additional changes. That is to say that you can noticeably improve your product only so much. In the world of marketing, this means that if you run a small business with hundreds of subscribers and decide to employ a simple autoresponder, you’ll instantly feel and see the difference. However, if you already did that, but your list of subscribers hasn’t reached the 10k mark, there is no point to experiment with more advanced techniques… at least not yet. Download our free eBook to learn how you can tweak your landing page design to generate more leads. So, once again, if you run or work at a small company, you shouldn’t go beyond simple autoresponders. They are cheap, easy to set up and work like a charm! You’ll get maximum results using minimum resources. Drip systems can generate you money on autopilot, which is remarkable, but keep in mind that you can’t set up such systems in a second. It takes incredible effort and time to create content that is perfect for a certain person at a certain time. 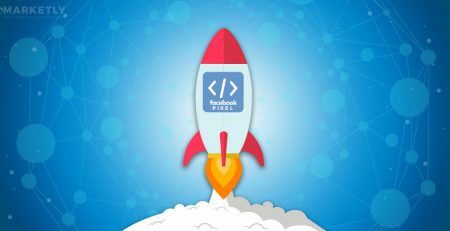 Once you manage to set up a simple email campaign that brings in dividends, you can carefully start fine-tuning it using more advanced approaches. 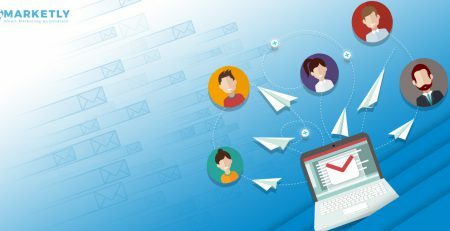 Just like simple autoresponders, behavior-based email sequence campaigns A proper drip marketing campaign builds relationships with subscribers, give them value and turn them into paying customers through a series of emails. Unlike simple autoresponders, behavior-based campaigns involve a whole lot of planning, require more advanced software and skill set. Behavioral segmentation is a whole other story. You cannot set up a good drip marketing campaign, or a funnel, in a day. It requires significantly more time and financial resources, so get ready to roll up those sleeves. Find out how to set up a basic funnel by downloading our free guide. If you think that you won’t ever need to switch to a more advanced marketing tool – you’re wrong. As your business expands and rolls out new features, so will your target audience. Naturally, you will see a more diverse crowd that will be even harder to control and target. This is when you must turn to behavior-based drip marketing for guidance and it will help you automate your processes. Remarkably, the founder of the “I Will Teach You To Be Rich” blog, Ramit Sethi, claims that 90% of his earnings come from emails. He added that some products promoted via email convert at 68%. Ramit is actually playing at another level, segmenting subscribers in such a way that, at the end of the day, he only sees subscribers that are or aren’t qualified for a specific commodity. In any case, you can use behavioral drip campaigns in any line of work. Once you find your way around simple autoresponders and get the hang of them, you will start seeing different opportunities to make a move with more advanced segmentation options. The flowchart above gives a visual representation of a campaign that consists of multiple waves, where each follow-up event occurs after a specific subscriber action (email open, links clicked, unsub). Somewhere along the road, your subscriber list will become long enough for you to dig into and start breaking it down into segments using more advanced methods. Drip systems are like a science here with multiple triggers, tags, and if-then statements. Ready yourself for some serious advanced math at this stage. Combine actions with methods to determine how to go about a specific campaign or product, shape appropriate buyer personas, pin down your most engaged segment. You can even go as far as to take advantage of subscriber data to predict their future behaviors. Lastly, oversegmentation can lead to negative results if you don’t scale slowly and if you don’t respect the subscriber/segment ratio. Keep in mind that you have to create new content for every segment you single out. So, it is vitally important to get your system running smoothly before you start scaling up. As your business grows together with your drip marketing system, there will be a certain point where you just can’t handle the load, regardless of the manpower at your disposal. This is when you’ll have to turn to advanced marketing tools for help. Even huge specialized marketing automation tools are not always up to the task of sending several thousands of personalized emails all at once. Test out different options, perfect the aspects that work and add more complex tools where needed. Respect the process and you’ll do great! So, now that you know the ins and outs of a drip campaign, you’d probably be interested to see examples of how it works in reality. Below you’ll find several examples of how companies use the aforementioned strategies to send content to subscribers and increase revenues through email campaigns. Being an e-commerce company, Mr. Porter uses methods and techniques that differ from software and service companies, so keep your eyes peeled. Browsing behavior is one of the factors that Mr. Porter considers when sending you targeted content. If you go on their website and spend some time searching for a specific item of clothing, like a winter jacket, their smart system will identify the garment and brand that you expressed interest in. Before you know it, your inbox will get a promotional email from Mr. Porter on winter jackets. You may have heard of Facebook retargeting, where Facebook ads target you based on the content that you’ve interacted with in the past. However, in this case, Mr. Porter decided to go a different way and send you the above email based on what you browsed, but decided not to purchase – a browse abandonment email. The majority of online stores actually send out cart abandonment emails. But if you’ve ever shopped online (who hasn’t? ), you know that you have to look at something before you can send it to your shopping cart, obviously. Cart abandonment emails are much more popular and are employed much more often than category abandonment emails. Such emails go out to website users who put something into their carts but don’t finalize the purchase. The example below shows what happens if you add an item to your shopping cart and log off a website. You’ll soon get an email reminding you to buy that jacket you’d look so good in! They sure are consistent. People actually abandon shopping carts in e-commerce stores almost 70% of the time. Not only is it a remarkable way of pushing orders, but it is an integral part of any online store. Cart abandonment emails can be set up very quickly via specialized software and you are welcome to take your pick from the variety on offer – AbandonAid, CartRescuer & Rejoiner to name but a few. Personalized reviews and updates keep your customers from unsubbing. Moreover, it is a fact that conversions and CTRs increase when people receive content that is meant for them. Mr. Porter uses this information to refrain from sending irrelevant promotions to its subscribers. Going back to the browse abandonment email, it analyzed how much time was spent looking at specific categories of items. This email identifies what products subscribers like and encourages them to let Mr. Porter know what brands they’re into these days in order to keep the content fresh and relevant. They then start promoting items weekly via emails that offer products that subscribers have not yet seen, instead of just pushing them to follow through with that winter jacket they looked at a while ago. Many marketers see Mr. Sethi as the creator of one of the best drip marketing campaigns around, although it is far more advanced than what we usually see. Mr. Sethi has a blog called “I Will Teach You To Be Rich” where he offers readers to buy one or several of his own courses. Of course, he offers a free download and readers pay him back by leaving their email accounts – his first goal. Download our free eBook on lead-generating landing page design techniques to learn how you can get more leads. Once he has your contact details, he starts playing ball. As was mentioned earlier, Ramit only sees subscribers who are and aren’t qualified for a specific product. He only wants to send you content that you are interested in and, thanks to the automation system he has in place, this can be done automatically. Above you can see that there are different blog tabs you can click on and the system will automatically segment you into the business category you’ve selected. Ramit takes it a step further and really starts sending super-relevant content tailor just for you. After signing up, users start reading posts that are available for free, while, behind the curtains, the system’s already tagged them and sent content that will only be relevant to the people who’ve read certain articles. Subscribers are then moved from segment to segment, from funnel to funnel based on the triggers they activated while interacting with emails. Find out more about setting up a basic funnel by downloading our free guide. At this stage, email opens, link clicks, replies play a crucial role in deciding what content is pushed forward. Whenever Mr. Sethi rolls out a new product, he sends out a launch drip campaign over a period of several days that is designed to build subscriber trust and rapport. He takes advantage of marketing psychology to address the concerns and pains of different types of personalities and gets subscribers ready to make a purchase later on. Moreover, he turns the excitement gauge way up as the campaign nears its end by sending out 2 daily emails. The above image shows a timeline of the emails that Mr. Sethi sends out during a product launch. Ramit’s system is written out very clearly. Any action performed on his blog influences the content that his subs receive. This entices them to move forward through the sales funnel. Once the drip marketing system is in place, it can generate millions of dollars, while you kick back. In a nutshell, a measurement plan is a simple document that contains your timelines, KPIs, list of goals, and success measures – everything you need in order to know how well your drip campaign is performing. What is the biggest goal of your drip strategy? Target numbers – how many leads, sales, signups would a successful system require? By answering the questions above, you’ll be able to focus and keep track of the results. Just make sure to stick to these indicators when your system becomes more complex. Discover other ways of bringing up to 97% more leads from our guide by downloading the FREE copy of the guide right here. What can your drip marketing engine do to achieve your business goals that you can’t do on your own? What specific steps must your drip system take to achieve the main goal of your business? Who is your target audience and what are they like? How will your business change in 12 months and how will it change your drip marketing engine? Now that that’s taken care of, you’ll get a clear picture of your future drip marketing campaign. Start visually mapping out your drip campaign to make sure the strategy is complete and coherent. Don’t start composing emails, ads or landing pages just yet, though. It won’t be any trouble to change your blueprint at this point, since it is all a concept. Make sure that your visualization is understood by all staff members. Document everything in detail and elaborate on each point to avoid future confusion and misunderstandings. Creating good copy is extremely difficult, but it goes for about half of your campaign’s success, if not more. Even with an advanced system, you’ll fail if your copy is not great. Check out the handy illustration below. It demonstrates all the things that you need to consider when creating content in the buying cycle. Remember to approach content writing with absolute diligence. Conduct split tests to see how engaging your copy is before letting it loose! Free Download – “Essential Guide To Funnel Building”: Discover How to Simply Set Up A Marketing Funnel for Any Business Model. Give yourself a pat on the back for coming thus far! The time has come for you to select the software for your drip marketing campaign. But make sure not to rush ahead! Find the email software that suits your business. Let’s start off with simple and popular solutions that any business can afford to set up with no hassle. MailChimp – very user-friendly and it’s the perfect solution if you’re just starting out with drip marketing campaigns. AWeber – manage your subscriber lists and send out simple autoresponder drips. This solution has less segmentation and behavioral options that MailChimp. ActiveCampaign – combine with integrations and experiment with various behavioral options for greater results and benefit from its built-in CRM. Drip – powerful, yet simple drip campaign creator. If the above software solutions fail to solve your problems, you probably work at a huge company. Having said that, you probably know what options there are, but let’s put it on the table just in case. Ontraport – a cheaper option than the next one, but it has robust automation options and a built-in CRM. Infusionsoft – you have to be a specialist if you want to use this solution easily. Its options are almost incalculable, plus it can integrate with a slew of tools. A full-blown sequence email campaign consists of multiple parts that play a vital role in your company’s success. 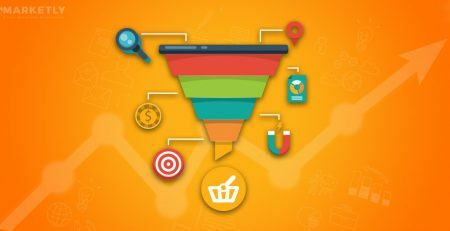 Optimize every last bit of your sales funnel to have a well-oiled drip marketing engine. Subscribers won’t open all emails from your drip campaign. Therefore, provide touchpoints across various channels to stay relevant to your subscribers. That way, they will recognize you when they start clearing out their inboxes. Keep in mind that subscribers are ready to buy when they are close to the end of the buying cycle. So, do not even attempt to sell to subs who just jumped into the cycle. It will be a total waste of time and resources. Help sales-ready subscribers take that last step! Send them links to your product or sales page in the email to bring the deal home. Just like you’d do with a website, remember to slowly upgrade your drip campaign system. Use all available data to gradually optimize it and increase effectiveness. Nowadays, many businesses are using drip marketing and autoresponders to achieve more by doing less. Take your business to new heights by drawing up a legit strategy, using the advice provided in this post. Start planning your drip campaign today and you’ll see progress in no time!